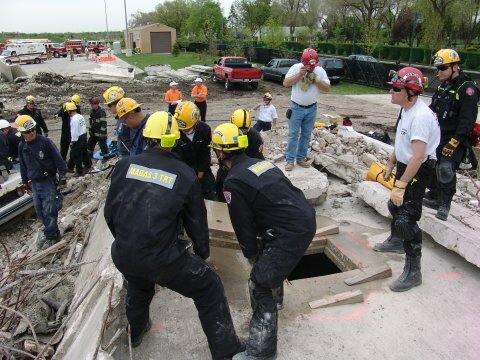 SRT members are trained and equipped to respond to above and below grade emergency incidents such as trench and building collapse, confined space emergencies, and situations involving a difference in elevation where normal means of access and evacuation are not possible. 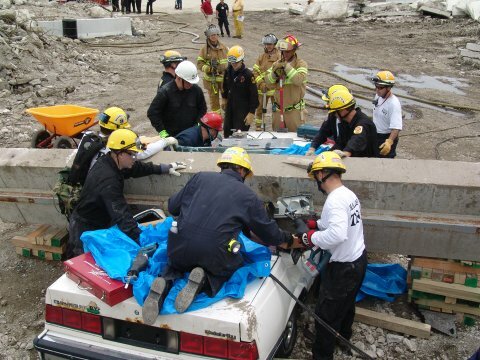 While all members of the SRT are trained and experienced fire fighters, rescues of victims or recoveries of bodies which may be accomplished using standard fire companies are not missions that the SRT is to be used for. Website Hosted & Designed by Cyber-Construction, Inc.